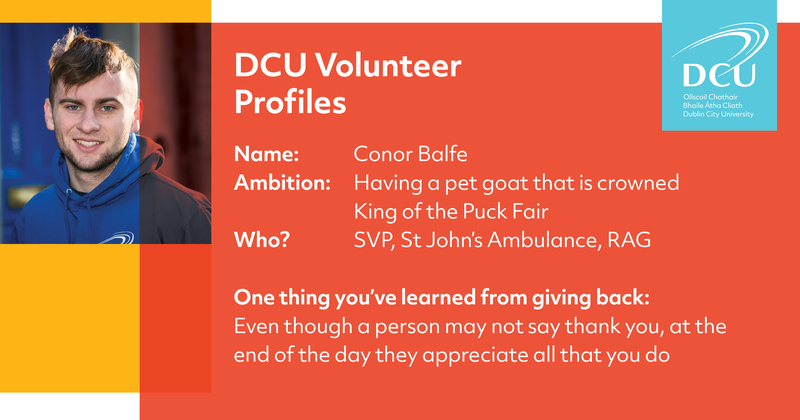 I was looking for a society to join in DCU and I wanted to volunteer. RAG seemed like the perfect fit, all the volunteers were really friendly and the volunteer programs suited my timetable. I wanted to give back more and I volunteered in the past. I was informed by RAG members that they volunteer with kids from disadvantaged areas. I moved around a lot as child, meaning I met with kids from all backgrounds. I understood how volunteering can help these kids, so I wanted to provide that help. Taking part in RAG Rumble this year - committing myself to being up early for training, getting into shape, helping to raise funds for RAG projects and helping people through the hard work myself and others were doing.